Bring on floral, pastels and frills. We crave a warm summer day as snow is still teasing us in the forecast. 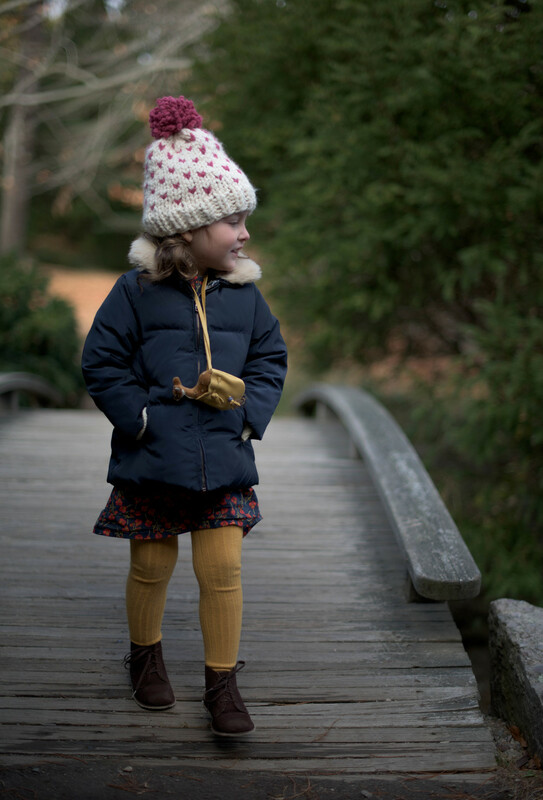 But while it might be brisk outside, we can at least pretend with these lovely pieces that are sure to take us joyfully into the warmer days ahead. While we're not exactly a family of musicians (at least 3 of us are tone deaf), the girls do love to make some noise. Mila's first stop in the toy bin is her collection of musical instruments. 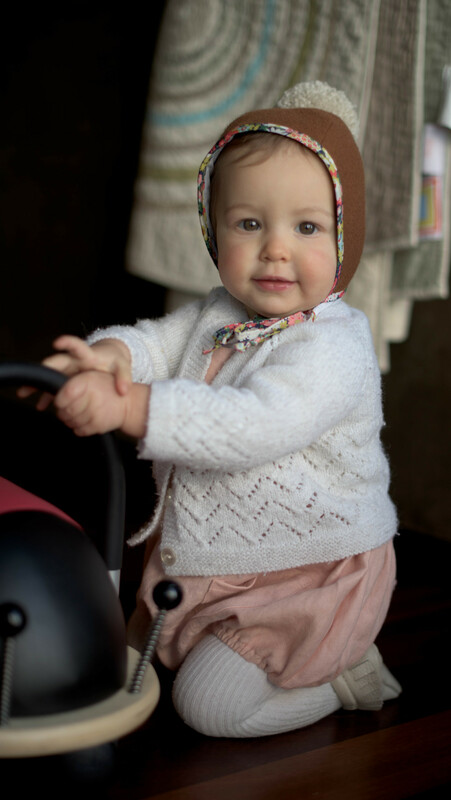 Enter the most adorable Briar Handmade summer bonnet which pairs beautifully with this sweet coral dress from Tocoto Vintage, both available at Minikin (in other words, get them now!). Some of my all time favorite pieces are from Tocoto Vintage, a brand that generates feelings of romanticism and nostalgia. 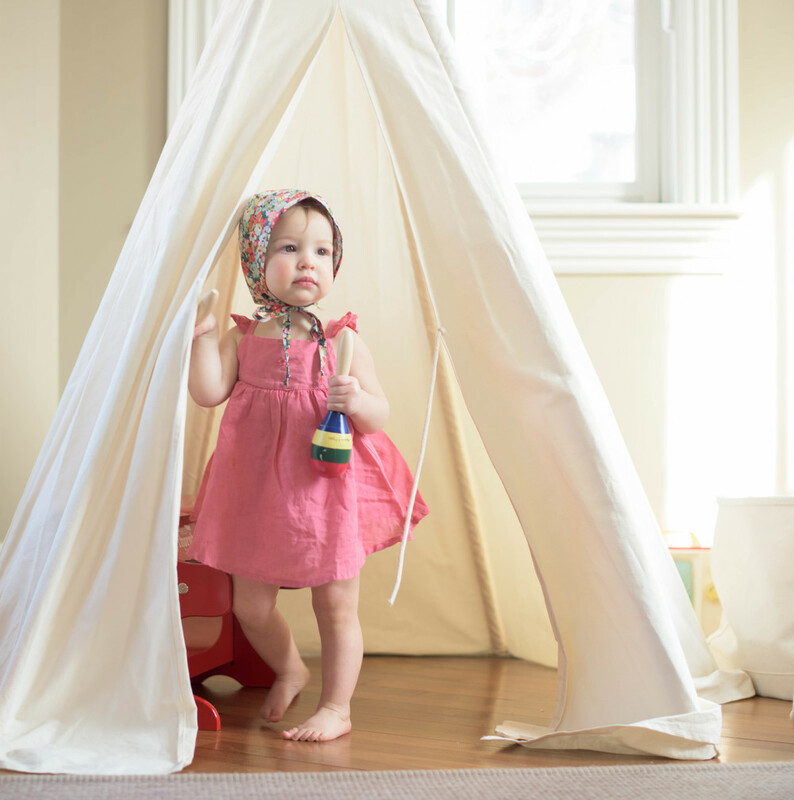 Their fabrics are oh so soft and the styles are as precious as the babe who wears them. 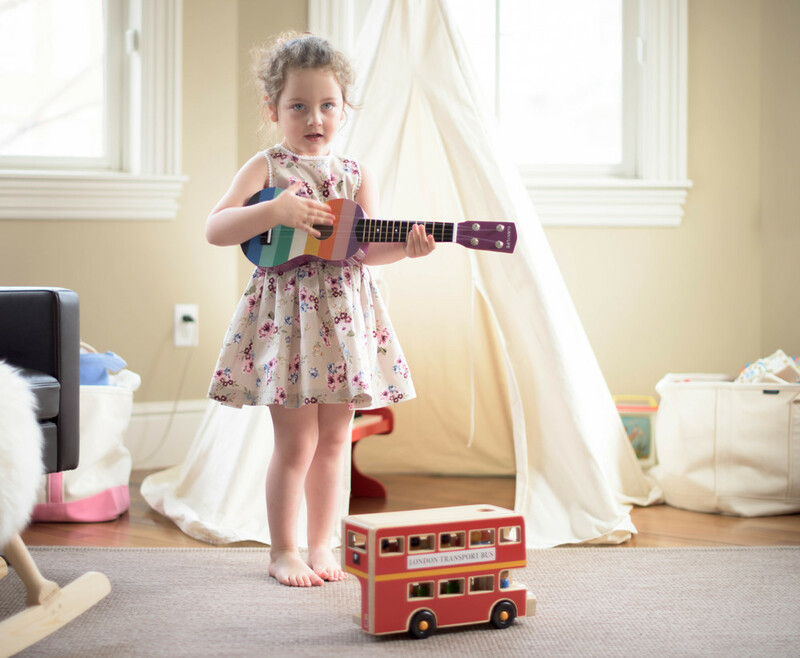 The only thing that comes between Elise and her ukulele is the perfect summertime dress from our Alaskan friends, Oma + Jo. 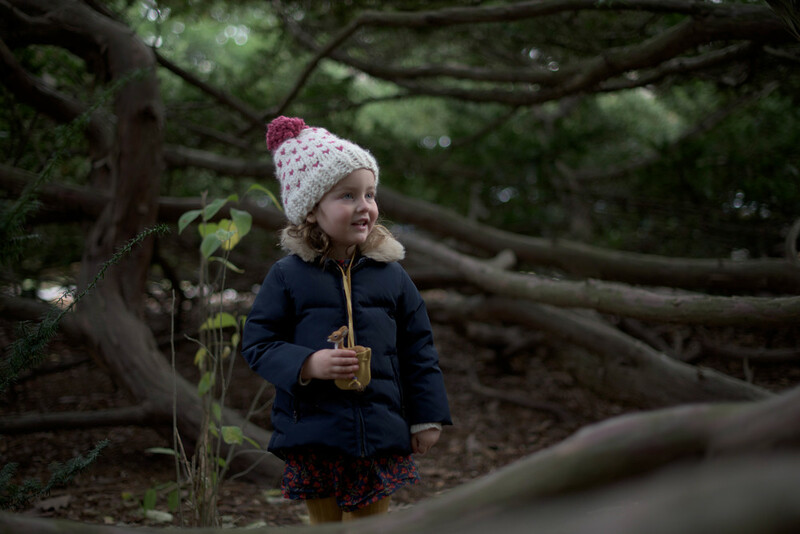 "A Shop for Teeny Adventurers" Oma + Jo encapsulates all the wonder and adventure that is childhood into playful and wearable pieces that are timeless yet modern and unique. 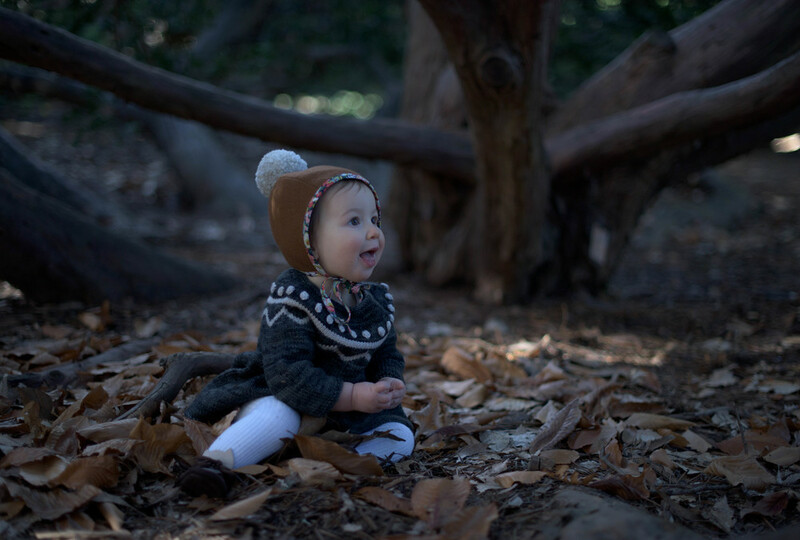 Above Elise plays with the adorable Animal Seesaw from Manzanita Kids. Its tactile, fun to balance and of course, beautiful to look at!